When you are broken hearted you see no purpose in fact you might never get to know the purpose or know of it until God has pulled you through . I will share some aspects of depression and anxiety in a biblical approach. Today we live in a fast paced society and many of us crave to be accepted. Depression and anxiety is one of the most used avenue that the enemy has to break people’s heart. As I was one of them. I could tell you now that there has been purpose in many of the things I have been through. Something is always produced in our difficulties. There are many reasons why we go through depression first it is due to sin. Having depression does not entirely mean you are in sin. Depression and mental illness has its spectrum of why it occurs and does not always indicate that someone is in sin. In fact most of it is not because of sin and other factors play in place. So please do not feel like you are in sin if you experiencing depression. It can be a hush and pushed under the rug because others see it as were not close to the Lord but he is so close to the broken hearted. God’s word is full of chosen beloved people by God that experienced sadness, loneliness and sufferings. I will use David and Jesus as an example but there were many others to name a few like Jeremiah, Job, Jonah, and King Saul that went through difficult times. David was in depression due to hidden sin from adultery. David was not confessing to God even though obviously God knew exactly what he was doing. But David knew that his heart was depressed from sin, the guilt and shame took over in his life. This is to prove that even as Christians if we are living in sin, not being genuine to the Lord can result into depression. Another perfect example of suffering was Jesus. This is why he is so close when we hurt because he knows exactly how it felt. Jesus went through feeling alone, alone on that day on the cross. The son of God actually felt abandoned by his father on his lasts breathes. Jesus went through rejection, hatred and physical torture. Jesus had multitudes of people that did not believe in him. We are graciously understood by Jesus. The cross is prof of that. Depression and other mental health illness has been linked to being genetically predisposed in peoples DNA according to research. However this is years of families being bonded in chains of depression and negativity. That’s what the enemy wants people to believe. That this is so embedded in your family you must have it to, Jesus didn’t save them he cant possibly save you. These are lies and the more we believe them the more we become them. Gods word says for us to guard our hearts for what comes from it will over flow in your life. The more we tell our hearts that we are depressed the deeper into darkness we get. There are times of season when the Lord himself has us in trails but instead of embracing the trail and looking for his guidance we worry, get saddened and actually turn it into depression. Another way our hearts can be crushed is when we slowly begin to stray away from his word, prayer and worship. In not doing so depression among other challenges can well creep in when we are not seeking the Lord. Not to say that we wouldn’t go through them as a Christian but its always best to know that going through it with Christ is always comforting. It is also very important to bring our depression to the Holy Spirit to help us to bring it at a bay and under his control. There are times of loss times we grief when we lose someone or something that we forget how Gods spirit was sent to us to comfort us that we don’t seek his spirit. Times when a health issue can cause depression. Times we are depressed because we do not have a significant spouse or in hurtful marriage. When we become so focused on someone else and seeing them bigger then God this depletes our hearts from God. Especially if he is not the center of our life. He is our source that’s why we are always trying to figure out ways to be happy and in peace but never find it if its not in him and its through him we get peace and joy even in difficult times. We should always also take into account other factors that may get us depressed. Are you in a bad relationship? Do you have toxic friendships? Are there financial struggles? Little support system? Some people may never experience depression while others just get very anxious or what we call worry. I remember having a silent sadness for most of my teen years and into adulthood it eventually lead me to understanding that my only hope was Jesus. At that time I also began to get sick. Scientifically it is proven that stress increases so many health issues. When our hearts are depleted from our creator not only is our sprit not aligned with his but our bodies are affected by that as well. And this does not mean that Believers would not get sick again I am writing of depression in a biblical approach. There are people who are not depress and get sick. So I called out to my father. In that doing so even though I was saved at the time things were still hurting me, bothering me, worrying me, I felt empty. And of course many of this is lies from the devil but I was not fully surrendered to God. I was not yet giving him my entire pain so I carried that baggage even as I was serving the Lord I still wanted to take control. In all this I was so blinded that I kept being in sin and not letting God fully work in me so I strayed away. Straying away from the Lord does not make anything better and I learned that first hand. It makes it worse so much worse. Time passed nothing worked. I was trying to do it all on my own because I didn’t believe no one could do it and I got to think I was so unworthy that God couldn’t do it for me either. So there I was feeling like God couldn’t do it, no one could do it I couldn’t even do it myself. And in of it all no one ever knew how I was just struggling with depression. I smiled at everyone I even helped others on the way. I held my job, my children and marriage. I was working on everything else but focusing on the core of my being. I was forgetting about my creator. I looked everywhere to fill my emptiness. Not even my children were filling that for me. Not even my husband. I was thinking what on earth is wrong with me. I have people that love me how could this be. I remember when my grandfather was ill and soon to pass I was so hard headed. Still with him being alive I was not giving in. My grandfathers death was not entirely to bring me closer to God but the Lord was also calling him home to ease his pain and give him eternal happiness. But my grandfathers death lead me to give it all one more chance. I told God this has to be it, there has to be more to life. At his funeral a pastor shared if the Lord ended your day today where will you be. This struck me like no other. I realized his passing in the joy of knowing he was in a better place was a call for me to come back home. I did. Your heart will always race to the source of your being. This is why we find all sorts of venues, people, places, success, relationships, and nothing works. It is only temporary. God is forever plus more. I knew things were not going to be done over night. I knew it would take time, I knew I knew nothing but I knew God could help me. I still had days where I was unsure but I pressed on. I had days when I cried and could not say a thing. I had days when I even thought this is not working but I pressed on. I still called out to God. One day as I was worshipping the Lord in my home in the midst of my pains I knew he would show up. I couldn’t grasp to much of who he was only what I learned as a young girl but I knew he would show up. And he did. As my baby became fussy after a dirty diaper I brought him to the changing table and there he was. The holy Spirit came to visit me. An unexpected visit. The one I needed the one I was calling for just to give me a rain of hope that I am not going crazy in the sense of his existence and that he will show up. I bowed my head down and kept saying Thank you. I cried so much. Months in serving the Lord he marked me that he is with me beyond the measures I couldn’t even understand. And hope was born in my heart all from pressing on to him. One Saturday Morning going into a women’s conference I knew something would change that day. I marked it in my heart that such thing would happen. Kids were with dad for the day I am surrounded in fellowship with other women it was amazing. One of the speakers at the end of giving Gods Word she asked for us to write down on a blank note card something we want to let go and let God take control of. I wrote down the following “God heal me from depression and anxiety. You are my only hope” The speaker would then months down the line mail it back to us. As I held on to this card and worshipping the Lord. I began to cry and sing under his touch. I didn’t realize few minutes in that I was under his precense. It was an amazing beautiful experience. God delivered me from depression on March 25, 2017. Glory to him! My friends I have days when I worry its normal its life it can creep in at times. I now have a better approach to my trails. Since March I have not been the same. Something new has been birthed in me. This is why I pray with you in your hard times because it is possible. There was purpose in it all to tell you all in the midst of despair if you keep pressing God will pull you out of what ever it is. And he will never let you under go something if there wasn’t something for you to learn, grow or to bless others. Pray to God always always about your depression and anxiety do it everyday even if words cant come out, say it out in your mind. Call for healing everyday, press on him. In due time he will do it. Do not give up there is hope. Pray to the Holy Sprit for deliverance to protect you from the enemys lies. Depression can be healed by God its been done to so many men in his word in moments of despairs and Jesus was known to deliver those crushed in their spirts. Always as well pray for loved ones that struggle with depression there is power in prayer. I Pray that you are abundantly blessed and remember you are purposedly loved by his grace. Grace was there the Entire time. Ever find yourself having one of those weeks that are just to long, so you try to find the beauty in it because there is. Well I had one of those weeks. But I want to first say how grace was there the entire time and it took a moment for me to unwind and let God fill me up. The week started with a stomach bug, my child with a fever, my oldest son wanting more of my attention, there was work, the house, wife duties and so much more. As the week went by I ended in urgent care thinking I broke my thumb! Thank God it was just sprained. I was burnt out. I had been praying to the Lord of how exhausted I felt. I asked for his grace over and over. I sat there thinking this week could be worse in all truth. So humbleness kicked in. In that quite moment to my heart came of a blog I started but never did much with it, I only had posted twice. I have always wanted to blog but just did not know the route to go with it. I still have the blog as you can see, but with a different name. As I was sitting there thinking Lord I have no time for this, I just finish saying how burnout I am how could I possibly have time for this what do I even call it. Sitting in front of the screen the Lord gave me this sweet title called Purposely Loved by his Grace. I wrote it down and exited the screen. I needed to come back to this I needed to soak this in. As I was meditating on this the whole week all I wanted was God’s rest. And by the end of the week when I am thinking please no more I need to rest he laid on my heart something that requires time. So I was then deep in my thoughts and I kept thinking of this title and my time. And grace hits me. My whole week lead me to a grace moment. Months in and especially this week was leading to this moment. I have to back track that it has been months I have been writing a lot. I have been writing prayers and my thoughts in paper. There has been healing through writing to my Savior. Something about writing has brought me to many graceful moments. And the interesting part of it all is that I always made time for writing and now God will use it not for my own healing but for others. His purpose. I feel so blessed that I have been praying to God about bringing his purpose to my life and though this blog may not be my whole entire purpose but its a part of it. Because I am sharing this with you now. I pray you are lifted as I share stories and encouragement. I pray that you may grow and see how you are purposely loved by his grace. Grace has been in my existence even before I was born. Without knowing it my heart was in search for it. I did not know that the second chance to life was my Saviors Cross this whole entire time. I just recently learned that even before man’s existence God knew he would gift us with Grace! Now that my friend is complete total love. Knowing that we would sin yet we would still be favored by our creator. How many of us would give up someone or something we love and give continues chances to someone that may potentially not love us back. At first I was confused what was this whole Grace thing about. How do I get it? Do I pay for it do I get it by attending a church? So what is Grace? 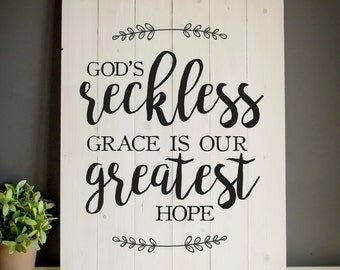 Grace is another chance, forgiveness, rest, strength, no shame, no guilt, God giving up his lovely son to us, eternity with God and endlessly knocking at your heart this is Grace. For we are sinners and have many weakness this is where Grace falls into place. But again how do we get it? The scriptures tells me that If I am saved, meaning total confession to our Jesus with faith we are covered by his grace. I love that we have grace because it is a promise that we do not have to face anything alone. Grace does not mean that we would not go through difficult times or have weakness but that we have God there with us at all times. This brings me so much comfort. I pray this brings you comfort as well. No matter your past, your mistakes the cross is your second chance. He will make it right and better. Grace will be there.